The month of Shravan brings in a fresh fragrance with celebrations and joyous ambiance, when the entire society soaks in the mood of festivity. People from all corners of our country gets geared up to celebrate Krishna Janmashtami in the Shravan month of Hindu calendar. With great devotion and enthusiasm devotees observe fasting during the day and stay awake until midnight to offer prayers and after that, they feed themselves with fruits, dhaniya panjiri , sabudana pakoda, sweet lassi and other food that is considered as auspicious. 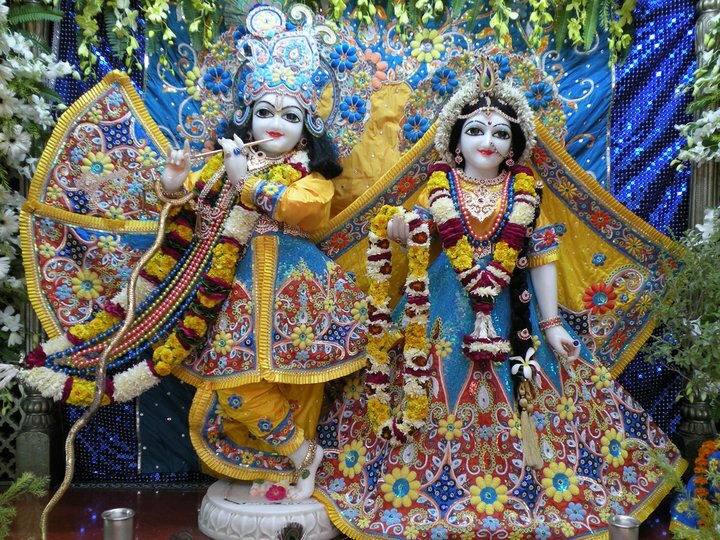 In our childhood days we used to hear a lot of tales about Lord Krishna from our grandmother and mother. Now, it’s time to take a tour to Krishna’s born and brought up place, where Janmashtami is considered one of the main festivals. Well, Vrindavan and Mathura are the two holy towns where the celebration continues for a week before the actual day. Take the pleasure of the various plays and rasleela’s which are organized over there. Decked up in colorful attires, everyone gets geared up for tapping their feet with the perfect sounds of the dhol. If you have a plan to travel to the state of Maharashtra, during the time of August, then don’t miss out the Janmashtami celebration In Maharashtra. Embark on a journey with Kesari Tours and spend wonderful holidays in Maharashtra. 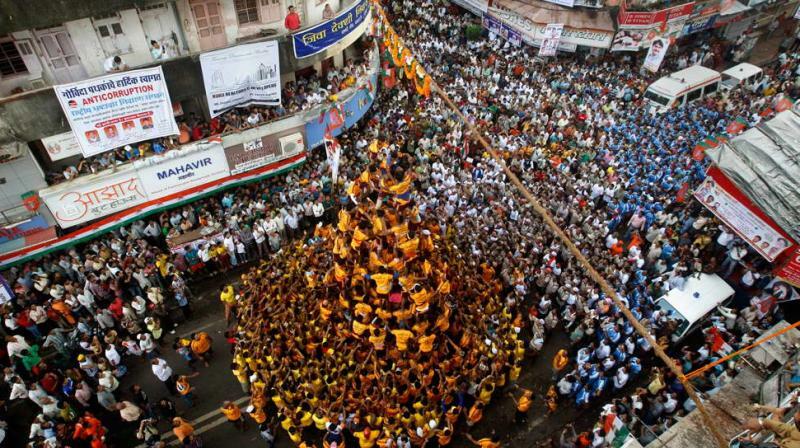 Also known as the Gokulashtami, this festival goes with the Gokulas‘Dahi Handi’ celebration. Clay pots with Dahi, butter, are hung high on a top, and all the young people form humans pyramids to break the ‘Handi’ and chant ‘Govinda Govinda’! The lost city Dwarka still holds immense importance especially during the Janmashtami celebrations. Get a glimpse of the vibrant cultural and traditional folklore visiting the Dwarkadish temple during this festival.The festival starts with arti. After the arti , the bath is given to lord Krishna with gangajal, ghee and honey. After that lord Krishna is adorned with new yellow colored bright clothes and ornaments.After this curtains are removed, and the devotees can then get the darshan of lord Krishna. 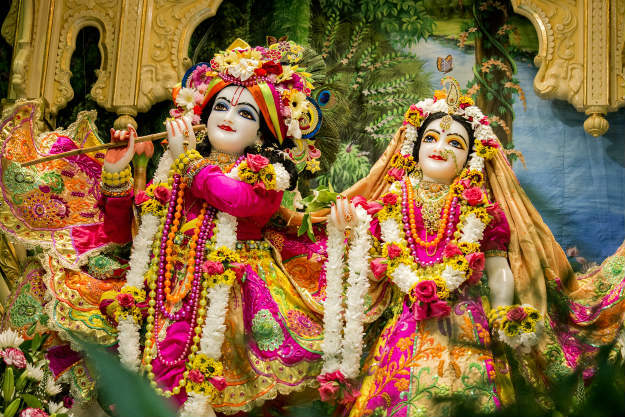 Well, we all know our hearts will never get satisfied without a tour to the ISKCON temples where people celebrate Janmashtami in their special way. Myriads of people from all corners of the world visit this temple to offer puja and welcome baby Krishna during this festival. 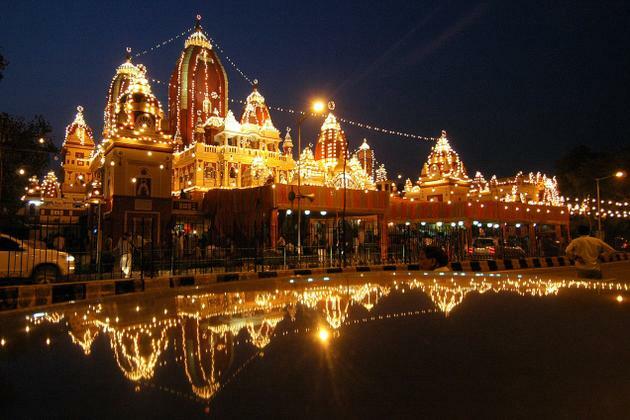 So.. cheer up and get ready for the coming festival…Gather your friends and family and plan out with Kesari Tours to get a spectacular view of the Janmashtami celebration in the popular places of India. Next Post 5 Best Things About Adventure in Singapore You Have to Experience It Yourself!